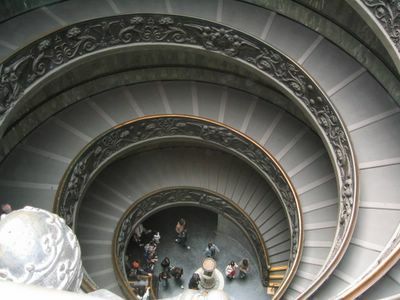 This is the stair case leaving the Vatican Museum. I found the stairs very interesting, and thought it would make a great photo. An interesting thing happened on the way back from Roma. I was looking through a photo magazine, and somebody else had taken a similar photo, and published it in the magazine.